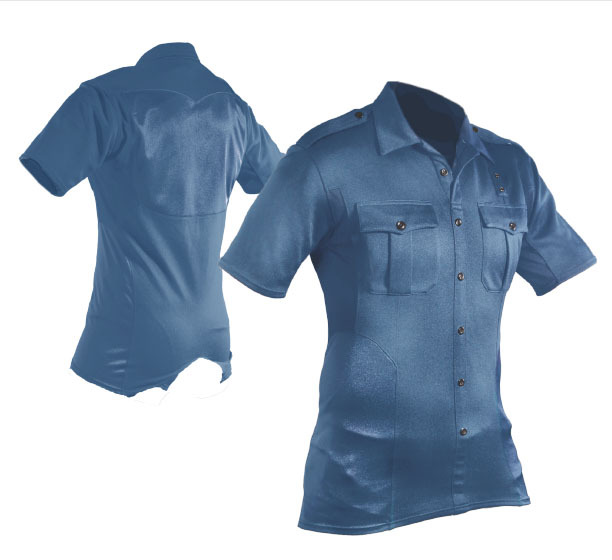 Engineered at every facet to match the rigors of a demanding job, NESSE Commander 1.0 uniform will be an asset for you in every consideration. The material is a tri-blend of performance grade stretch fabrics. The primary fabric mimics a traditional uniform so you do not lose the structured look that signifies the strength and commitment of our service members. Under the arms and the lower back are mesh inserts to keep the body cool and drain heat. The side panels and the upper back are created from a high-grade flexible blend to allow maximum movement without any resistance. Further, our stay-tucked design will fit every body shape regardless of height, weight, or gender without sacrificing the integrity of the professional look. The shirt does not need to be tailored, or dry-cleaned.